Chinese smartphone maker Vivo has been really into the pop-up selfie camera trend and has today dropped more phones with the pop-up camera even though other manufacturers have since moved on to more advanced solutions like the punch hole found in the Galaxy S10 and Huawei’s Nova 4. Welcome the VIVO X27 and VIVO X27 Pro, the long-awaited device with a design very similar to the VIVO V15 Pro. Much like the NEX series, and the V15 Pro, the latest VIVO X27 and X27 Pro highlight a pop-up design that conceals the front camera which in essence gives way for a truly full-screen device. The bezels are still there but have been cut down a great deal compared to previous devices from the Chinese brand. Both the X27 and the Pro variant are very much identical, albeit a few differences here and there. First, the X27 gets a compact 6.39-inch Super AMOLED screen with a ratio of 19.5:9, and a screen to body ratio of 91.6 %, while the Pro variant gets a larger 6.7-inch AMOLED screen with an exaggerated 20.5:9 aspect ratio, and an STBR of 92.12%. Both devices come equipped with the sixth generation in-display fingerprint technology which boasts of up to 27% more fingerprint detection area and increases the recognition speed by 50%. These devices feature triple rear camera setup, but while the Pro variant has its setup centrally placed in a vertical alignment, the base X27 has its camera shifted to the right. Both devices also get pop up camera mechanism for the selfie, and similar to the rear camera arrangements, the pop-up camera on the Pro variant appears larger an more centrally aligned, while the non-pro variant has a smaller pop-up camera, and slightly aligned to the right too. Besides the differences in design, the VIVO X27 is the most premium of the duo, packing a 32MP pop-up selfie camera along with dual-tone LED flash, a 48MP Sony IMX586 sensor, a 13MP ultra-wide-angle sensor, and a 2MP night vision sensor. 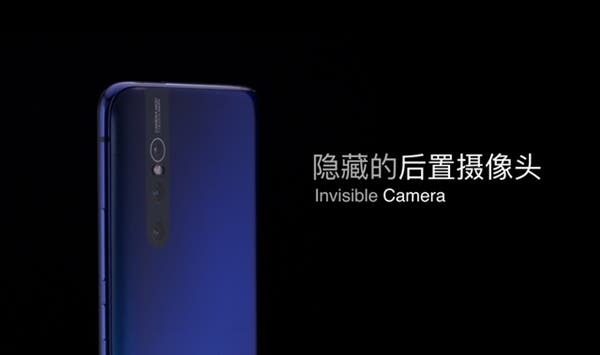 The base X27, on the other hand, gets a 16-megapixel sensor for selfies, while the rear retains the 48MP Sony IMX586 sensor along with a 13MP ultra-wide-angle sensor and a 5MP depth sensor. Humming under both devices is the Snapdragon 710 Mobile Platform coupled with Kryo 360 CPU and Adreno 616 GPU, and while the VIVO X27 is available in 8GB of RAM + 128GB and 256GB storage options, the Pro variant only gets 8GB + 256GB storage. They both boot Android 9.0 Pie based FunTouch OS 9 out of the box, and are powered by a 4000mAh battery with support for 22.5W Vivo FlashCharge technology. 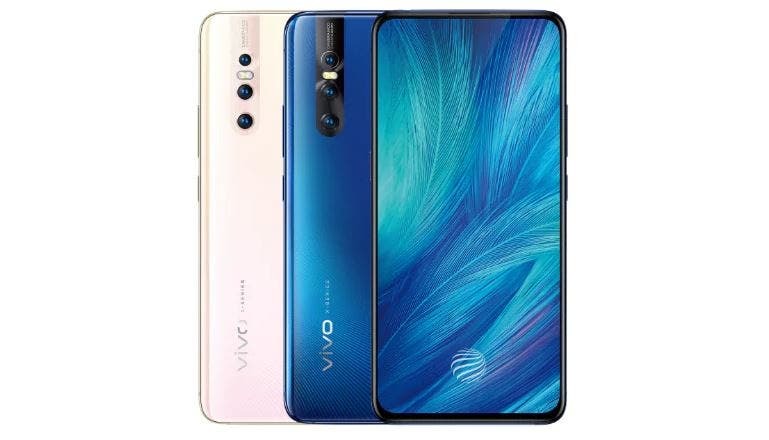 In terms of price, the base VIVO X27 (8GB+128GB) is priced at 3,198 yuan/$480, and will be on sale on March 30; vivo X27 (8GB+256GB) is priced at 3,598 yuan/$540, and will be on sale on March 23; while the pro variant is priced at 3,998 yuan/$600.